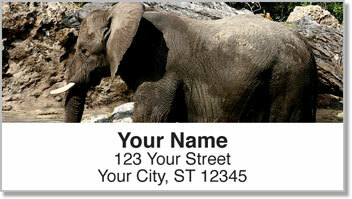 Put the excitement of an African safari on every piece of mail you send with these wild return address labels! Impressive photography featuring a great big gorilla, a lazy rhino, spotted giraffe and wise old elephant make this selection an excellent find! It's almost like spotting jungle animals in their natural habitat. 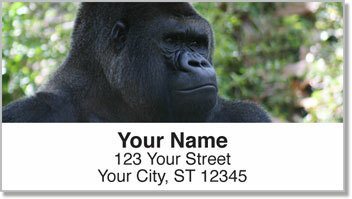 Safari Animal Address Labels from CheckAdvantage will give your mail an exotic look. They are also extremely easy to use. Just peel, stick and enjoy all the extra time you'll save! 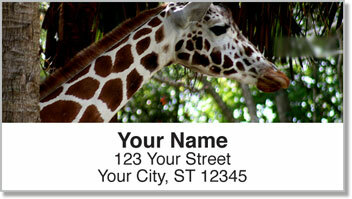 Get your very own Safari Animal Address Labels today! 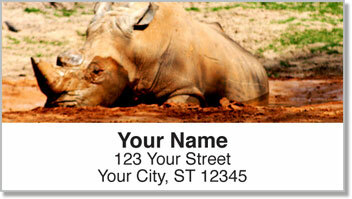 You can also order this wildlife design as a set of matching personal checks.